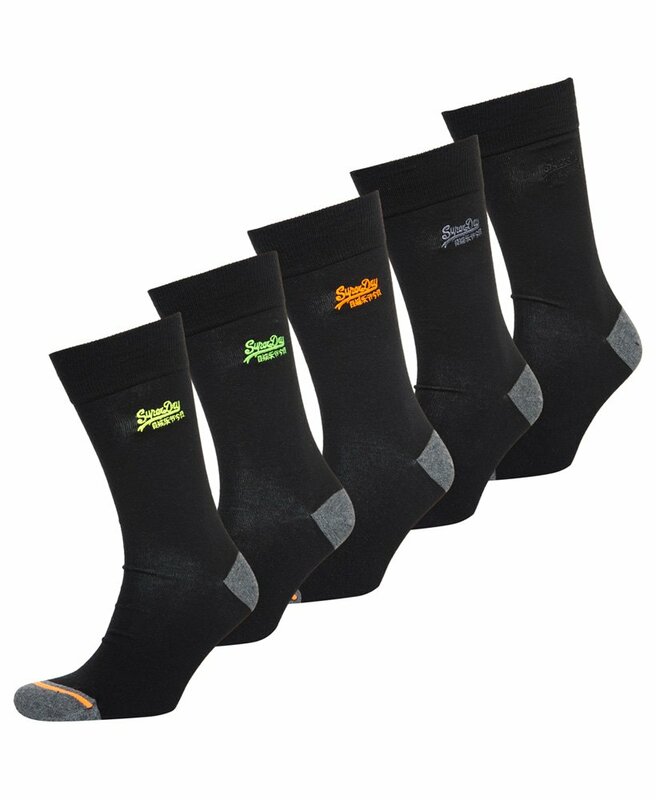 Superdry men's City sock five pack. These socks feature a ribbed hem, Superdry embroidered logo on underside of sock and a contrast stripe on the toe. Finished with an embroidered Superdry logo under the hem.